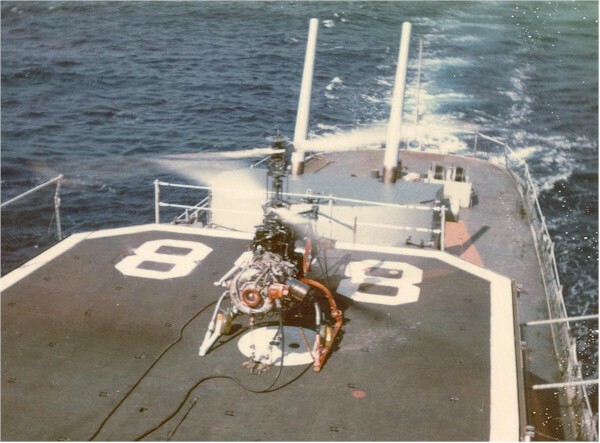 Most of the destroyers in DesRon 10 had a unique weapon, a remote controlled helicopter, called a Drone Anti Submarine Helicopter (DASH). It was ugly in aviation terms but a marvel of innovation and so maneuverable that it won a special award at the famous Paris Air Show in the early ‘60s. However it had one major flaw. It could not auto-rotate, so if power was lost, it crashed. Therefore it was never approved for manned flight. Another troubling problem was the counter rotating blades, one set of blades above the other and each spinning in the opposite direction with only three feet of separation. If those blades were to hit one another, well, you can imagine. 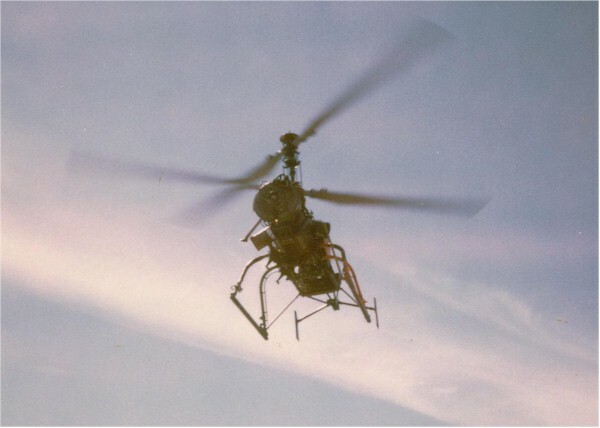 The advantage of such a blade configuration was the elimination of a tail rotor, maximizing lift. We installed a scrapped P2V nose cone over the DASH control console which really helped fight off the cold wind during winter ops in the North Atlantic. It also helped that I didn't tell the Skipper about this unauthorized modification until after the installation was complete. He hated the DASH weapon system (frequent crashes) but when he saw this Plexiglas dome, he just laughed and thought the innovation was not such a bad idea. What a thrill to launch this bird off our helicopter deck, bring her to a hover and then when clear of the ship, transfer control to CIC. Directional control was a “stick” in my right hand, just like the one in a manned helicopter and a small thumb wheel on the left for altitude. That’s all that was needed, piece of cake. 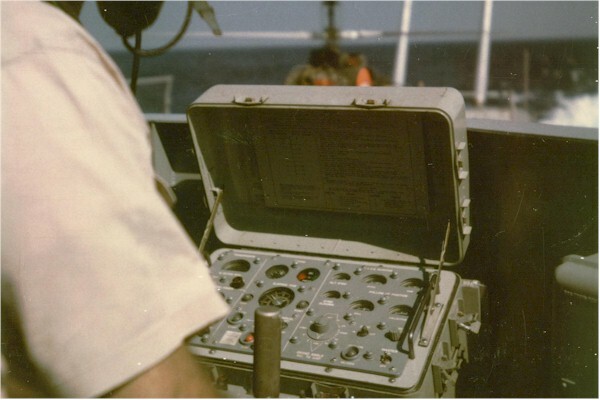 CIC, with similar controls would then direct the drone toward a submarine contact and drop a homing torpedo. In all our ASW exercises, we had 100% success. These remotely controlled helicopters were incredibly responsive and I could make them do anything I wanted. But there was one other problem that began to surface throughout the Fleet. One of the stabilizing gyros had a tendency to fail without warning. The consequences were dramatic. There is a great Naval Aviator, Admiral Dan V. Gallery. He’s written some very funny books such as “Clear the Decks”, comical stories about Naval Aviation accidents. One story was of an inexperienced pilot at the controls of a multi engine transport getting spoofed when seeing four planes showing off in an inverted formation while between two cloud layers. Without reference to the ground, the inexperienced pilot wondered who was right side up. Admiral Gallery was a VIP guest onboard a Guided Missile Destroyer (DDG) in the Mediterranean and he wanted to see this DASH do something. Our Destroyer was selected to do the demo. I had read some of Adm. Gallery’s books and I was ecstatic that this man might someday write about the Fred T. Berry and what we were about to show him. As the DDG approached our stern to watch our flight deck operation, we warmed up one of our DASH helicopters, went through the normal checks and then brought her to a hover. I noticed some abnormal responses from the drone. When I twisted the stick for the helicopter to turn, nothing happened. This was not good. I notified the bridge that I was bringing her back onboard and would then launch our second helicopter. Too late. This bird began extreme and uncontrolled motion without any command inputs. Suddenly the drone made a steep bank and raced across the flight deck, only missing the Berry by 20’. Then just as abruptly it tried to reverse direction. The chaotic and uncoordinated force on the counter rotating blades caused them to collided, splintering in an explosion of metal shrapnel flying in every direction. The drone splashed into the drink close aboard our starboard side. That none of these rotor blade missiles penetrated human bodies was a miracle. If you are going to have a dramatic accident at sea, it would be preferable not to have a famous Admiral taking notes. Unfortunately this was not the only accident. The second accident three months later was nearly an identical episode. Other destroyers were having similar experiences. 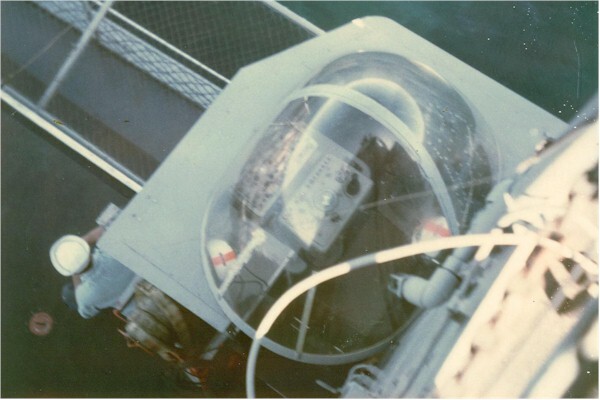 It soon became clear that one of the onboard gyros were failing with far too much frequency. Within five years the DASH program was DEAD.